Through East Africa, Tanzania is another country gifted with a specifically rich and diverse birdlife, and actually, it would be reasonable to claim that with a bird record of more than 1,000 species with a urbane tourism industry as well as a rational infrastructure, the country presents one of the finest experiences of watching birds in the entire world. Below I have highlighted some of the best watching areas in the country you can visit to have a very memorable bird watching experience. Being the highest mountain in the whole of Africa, The Mountain supports an extreme wealth of birdlife particularly on its lower slopes which are covered by rainforests and the moorland. Other than the numerous bird species seen within the crater area, Lake Magadi which is a soda lake has thousands of beautiful flamingoes commonly seen around the lake’s shores. Lake Natron which is situated further north is on the other hand another prominent habitat for numerous flamingoes. The most appropriate time to see these flamingoes is from the start of January to the finish of February. The large expanse of grasslands actually simplifies bird viewing within this area which prides of a diversity of bird species. 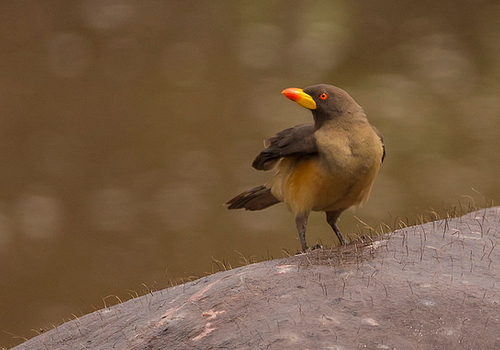 Lake Manyara supports more than 400 species of bird and in a single day’s tour you will be able to see about 100 species. Among the bird species you will see within the park include: pink flamingos plus large populations of water birds such as cormorants, storks as well as pelicans. The swamps around Lake Trangire support more than 500 species of birds like the Kori bustards, ostriches, the yellow collared lovebirds, plus a diversity of weavers. While in these swamps, look out for large breeding groups of large birds such as storks, herons as well as ibis. This lake is located on a seasonally-flooded plain where large populations of different bird species are commonly seen particularly in the wet months. More than 400 bird species have been recorded in this impressive national park. About 400 bird species have been recorded on this stunning island among which are the fish eagles, kingfishers, storks, sacred ibis, cormorants, goliath herons and the martial eagles. The island offers a breeding ground as well as a stopover for Palaearctic plus Intra-African migrants. More than 400 species of bird reside have been seen here among which are: the pale-billed hornbills, Dickinson’s kestrels, Eleonora’s falcons, violet-crested turacos, racket-tailed rollers, among many others. Eurasian migrants normally flock to this national park two times each year, in October to the finish of November as well as in March all through to April. And while here they feed with some of the resident species like hornbills, egrets, kingfishers, sunbirds, plovers, bee-eaters and green wood hoopoes. Over 400 species of birds take shelter within this park and among these are numerous pelicans, as well go-away-birds, pale-billed hornbills plus the masked weavers. More than 400 bird species have been recorded here and among these are: large numbers of guinea-fowls, doves, violet wood-hoopoe, hornbills, martial eagles and various weavers. 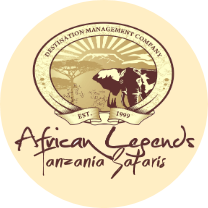 In general, Tanzania experiences a hot climate all year round and its altitude is the major determining factor. However the hottest months start from the month of November to the finish of March, and the coolest months start from June up to the month of September. The Tanzanian coast is in general hot all through the year.